As you finish your treatment for head and neck cancer, you might wonder, what happens next? While some people return to their everyday lives, some patients have difficulty adjusting due to the effects of their cancer and its treatment. We recognize that your life after cancer treatment is important and that continued support is needed through this transition and throughout the rest of your life. Our survivorship clinic takes a multidisciplinary approach to addressing your individual survivorship needs. Learn more here. The Swallowing therapy team is dedicated to helping your swallowing health. Learn more here. Understanding the importance of dental care before, during, and after treatment for head and neck cancer. Learn more here. 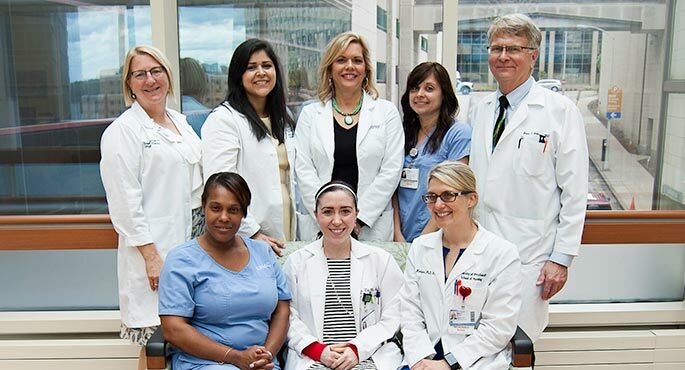 Our audiology team promotes hearing health and provides services before and after treatment. Learn more about the resources here. Head & neck cancer and therapies we use to treat it can impact your ability to physically perform your daily activities. Learn more here.